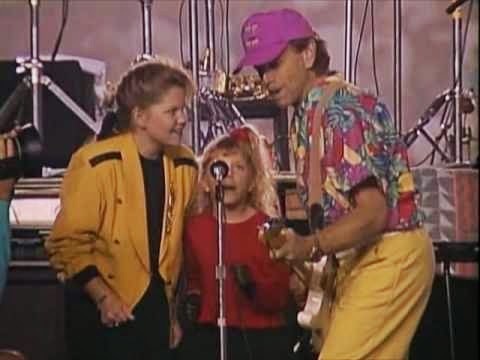 that girl in the wheelchair: The Beach Boys made my Full House dreams come true. The Beach Boys made my Full House dreams come true. Hey guys. It's a beautiful day in middle Tennessee so I am spending the day writing on the patio until the battery in my MacBook craps out. 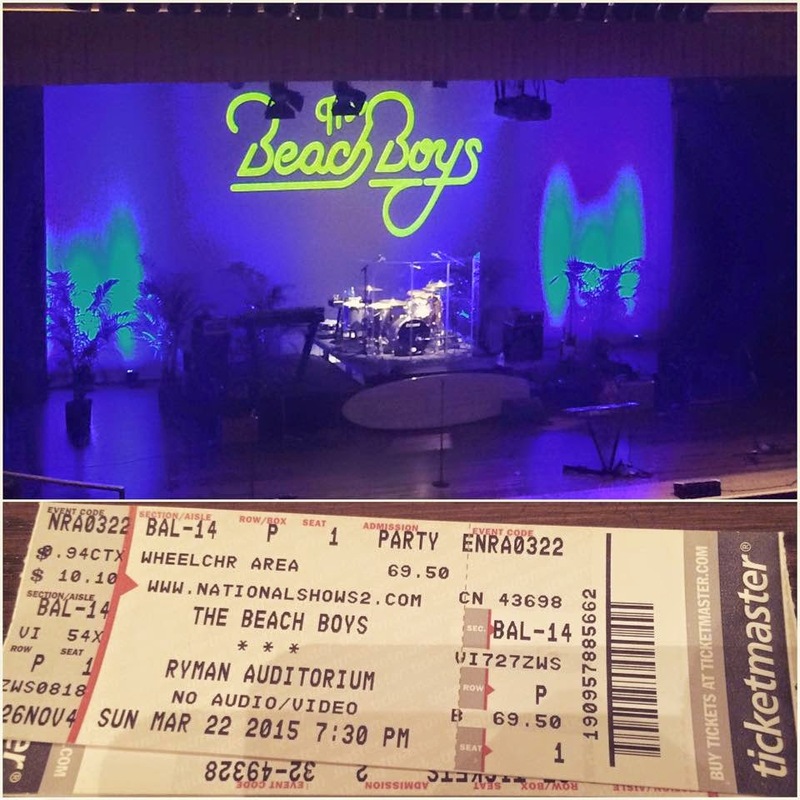 I am even more stoked for these sunshiney days because I spent the evening last night with my mother and the Beach Boys. I could have only enjoyed it more if I was marooned on an island (that I found on a map but turned out to be a potato chip crumb) and came upon a spontaneous luau where they were featured predominantly and I was pulled on stage with my family for a singalong. [Tangent: If you don't get my Full House references...then maybe this isn't the blog post for you...go ahead and X out now.] Of course, our show at the Ryman wasn't the full orignal lineup because would take dark magic and resurrection, but it was Bruce and Mike laced with homages and high tech harmonizing with the Wilson contingent. Even so, the Beach Boys were just kind of always around it seems. [Tangent: Not as around as they were for the Tanner family, dropping in periodically to jam with the Rippers or stopping in to save a flailing telethon or helping Uncle Jesse put the harmonies on his wedding song ...but close!] More like they were played on heavy rotation at the skate center and on the Oldie's station. I feel like at least one of my elementary school plays featured an old Beach Boys hit, and it was before you were old enough to be cynical so you thought having a song that isn't Raffi in school was somehow the coolest thing on the planet. We were so easy to please. It was so refreshing last night to see all the fans which were decidedly older and more sedentary [Tangent: My Peeps!] mixed in with some people my age and then some children, which all looked so excited to be there. I feel like the Beach Boys are a good intro into Rock and Roll for so many kids and I am glad that they are still doing it and that kids are not too jaded to appreciate songs about cars and surfing and having school spirit. The world could use more of that. I was a little sad that there was no John Stamos cameo on drums and the Tanner family never bum rushed the stage to garble scream their way through Barabara Ann. A girl can dream. My head might have exploded all over the the shimmying seniors in front of me. I mean check out that pink tank top wearing bongo stud. Have Mercy.